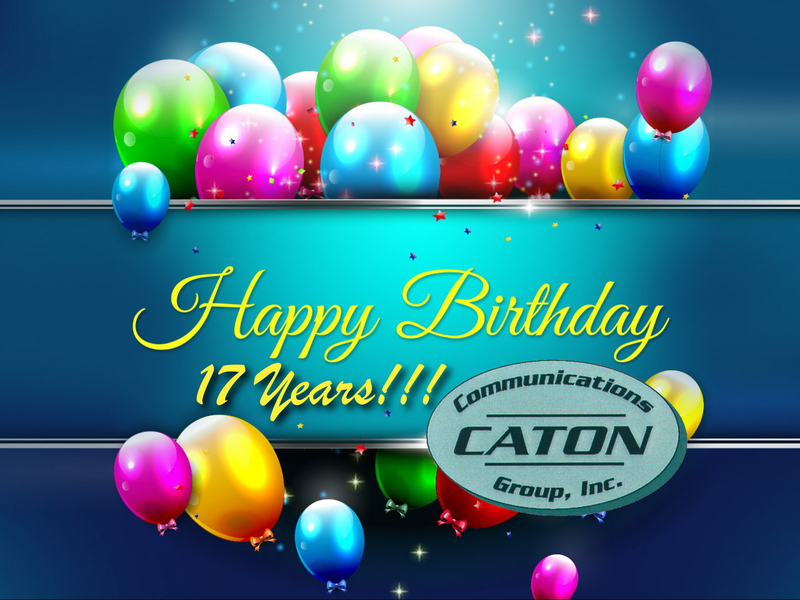 On February 4th, Caton Communications Group will celebrate our 17th year of being in business! Ever since we’ve started in 1999, we’ve been providing state of the art low voltage cabling throughout the state of Maryland and more. In the past year we’ve completed several significant jobs, been awarded many new contracts, and have added new members to the CCG team! We’d like to thank everyone that we’ve worked with throughout the past years and anyone who has supported us since Day 1! To keep up to date with Caton’s news, be sure to Like our Facebook page and Follow us on LinkedIn and Proview!